This is about my journey to primal eating and exercise. Recipes, meals, progress, and other primal thoughts are included. It's been a long time! Well, hello. Bet you thought I was gone for good, didn't you? I'm baaaack. Life's been good. I am now a Primal Blueprint Certified Coach, still a teacher of Anatomy and Biology, and I've decided to reopen the blog to add recipes, post some insights, and just catch up. Why not? I started a group at work of people who are interested in pursuing health. Not weight loss necessarily, though that will come for some, but health. The ability to live a long life without what seems to be the norm these days - developing some chronic life-changing disorder such as arthritis, diabetes, heart disease, cancer, etc. Morphing into a life of going to doctors, taking drugs to treat symptoms but never the cause, becoming sedentary and wondering where your youth went. Hm, not the life I want. I want to keep going until my last moment and drop dead in my sleep in my own bed. How to do that? Get off the train of the Standard American Diet. Eat like your body has evolved to do over a span of 2 million years. We ate all parts of meats from animals that also ate what they evolved to eat. We ate herbs, fresh plants, berries and fruits in season. There were no apples in spring and no strawberries in fall- you had to wait until the right seasons for those treasures. Lift heavy things, move around (walk) a lot, don't do cardio every single day like you are running from lions who are going to eat you. Sprint occasionally but keep it short. Turn off the blue light-emitting cell phones, TVs, laptops, and go to bed and get some sleep. Play, relax, enjoy life, simplify. Your kids don't need to participate in every activity designed for children - tell them to go outside and play in the dirt and get some of the dirt in their gut where it belongs. Better yet, do it with them. Plant a garden and grow some stuff with them. Buy meats that have been raised properly - outside, eating pasture or bugs or other animals. Animals raised in confined feedlots or warehouses of filth and fed grains which kill them (and us) are not healthy. It is cruel and detrimental to the environment. Animals raised on pasture properly build the soil which sequesters carbon and the environment rejoices. If you want to be a vegan, be prepared to not be entirely healthy in the long term and at least don't contribute to environmental damage by buying monoculture ingredients like corn, soy, and wheat products. Go forth and be healthy. It's a great way to live. I haven't posted a recipe on here in a very long time but I didn't want to lose this one since it was one of those throw-together-altered-recipes that was mostly in my head. Not all of those turn out well, but this one did! Chop nuts and dates in a food processor until the mixture is moist but not like nut butter. It will be more meal-like. 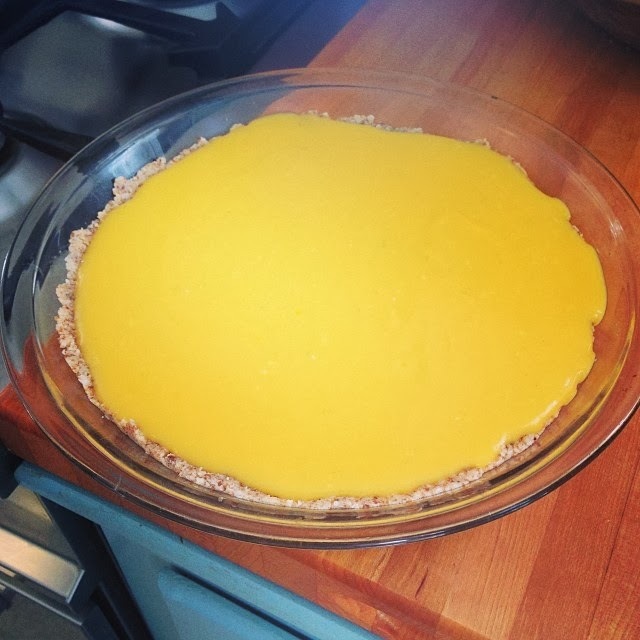 Press into a pie plate and chill. In a large saucepan, whisk the eggs and honey over low heat. Add the zest and whisk in. Add the coconut oil and butter and whisk in. Add the lime juice - keep whisking. Turn up the heat to medium-low and keep whisking. The mixture will thicken but you don't want it to boil. Remove it from the heat when it thickens. In a small bowl, mix the water and gelatin. Microwave for 15-30 seconds or until it just boils. Whisk the gelatin into the filling. If you have lumps or any hardened egg pieces, simply strain through a mesh strainer. Pour the filling into your crust. Place in the fridge until set (about 2-3 hours). Enjoy! I suppose you could add a topping, but I liked it as is. This is not overly sweet - if you like really sweet desserts, add more honey. I have a farrier for my horses that I have known for probably 20 years now. At least 4 times per year, I see this person at my farm and he and I talk about various things for the 2 hours or so it takes him to trim 1 horse and 4 ponies. We talk about many things, but we have a common interest in food and nutrition. For the last three years at least, I have tried to convince him to go gluten-free with an emphasis on paleo over the last two. I've lent him a few books, which he dutifully returns and he always said he wanted to try it, but never took the plunge. The ponies and horse were a bit overdue for a trim this time around and so it has been a good three months since I saw the farrier last. I knew as soon as I saw him that he had indeed taken the plunge. We jumped right into conversation and he told me he had lost 41 pounds, his blood pressure had dropped to normal levels, his arthritis had decreased considerably and any intestinal issues he had were gone. He looked great - no more bags under his eyes, fit and trim, and just overall healthy and happy. His only complaint was that he felt so much better that he tended to overdo things he had avoided in the past, aggravating some deteriorated discs in his back (a side effect of a profession that is notoriously hard on the back), but overall, even his back felt better. He had always eaten pretty well, avoiding processed foods. An avid hunter, he ate venison and even bear meat regularly. So the major changes he made were to eliminate all grains and most sugar from his diet. In effect, he was eating paleo - good meats, vegetables, and fruits. He said he regularly had eggs, bacon, and potatoes fried in lard for breakfast and was still losing about a pound a week or so. The beauty of paleo is that there is no extra cost to it, no diet pills or drugs, no purchased meal plans, no special bars or shakes. It is just eating real food that we evolved to eat over 2 million years - pastured (or hunted) meats, vegetables, and fruits. It eliminates grains, processed junk, and frankenfoods. It is simple and the information is free. But the true beauty of paleo is seeing someone who has suffered various maladies from the inflammatory diet of our modern age return to health again and pass on that knowledge to others so they may do the same. I am not really a huge sports fan. I can get into the occasional football or soccer game or tennis match, but I don't plan my weekends around watching sports. But I am from the Baltimore area and I've always had a soft spot in my heart for my hometown teams - the Baltimore Orioles and, since the abandonment by the Colts, the Baltimore Ravens. The Ravens have rarely disappointed, always being in the running throughout the season, but the Orioles have had a couple of bad decades. I grew up in the time of Brooks Robinson, Jim Palmer, Eddie Murray, Cal Ripkin, and a whole host of other players that shined. It has been sad to see the team struggle but I've still always had faith. This year, the Orioles have come back and come back strong! They have a bunch of players I've never heard of, but the names are starting to become familiar this year. Last night, they moved in tying for first place. 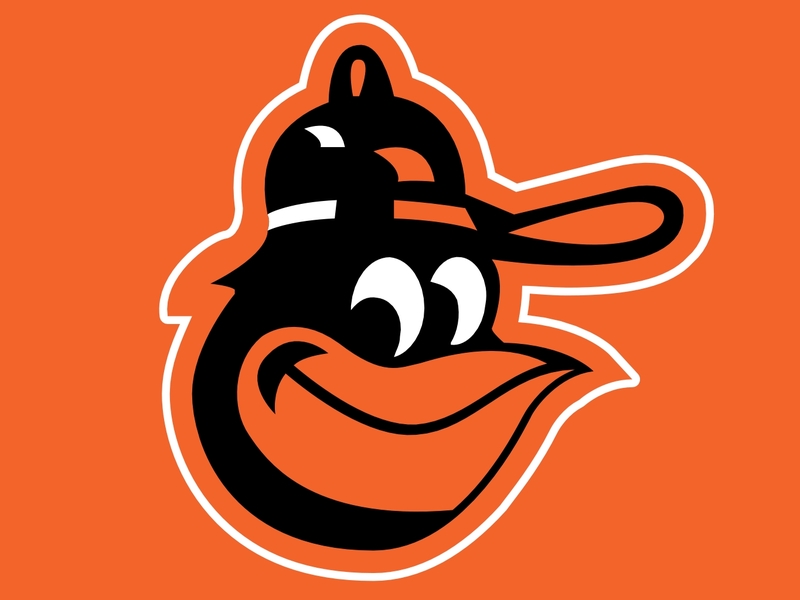 I am going to go see them in what is probably the best ballpark in the U.S. - Oriole Park at Camden Yards in Baltimore - today for their last home game. And it is bobblehead day, so I even get a souvenir! Going to go put on some orange and black, very appropriate colors for this cool fall day, and head down to the park to watch the Birds! Addendum: And can I just add that the Baltimore Ravens won the Super Bowl this year! What a year for Baltimore sports fans! Short and sweet. 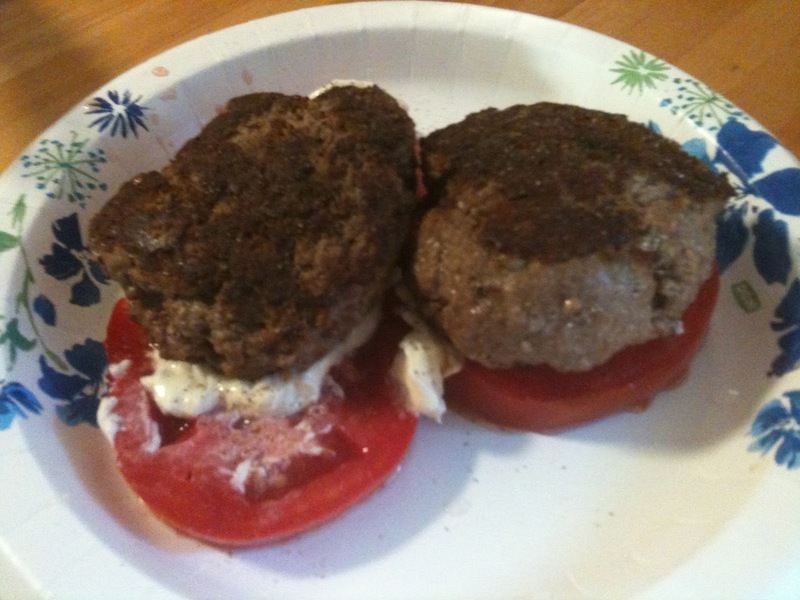 Burgers from the grassfed beef in the freezer, tomatoes from the garden, and some mayo. Add salt and pepper, serve up on a paper plate if you want to avoid cleanup and you have it made. Awesome Eats in Portland, Maine and Boston, Mass. My daughter and I love to travel and discover new places to eat and things to do. We are not so much into the typical touristy things to do, though we have been known to visit typical landmarks and famous places. We don't participate in the usual tours, instead choosing to explore on our own and take advice and suggestions from others who have been to the same places for food and fun places to visit. This past long weekend, we visited Portland, Maine for the first U.S. stopover of the Mumford & Sons "Gentlemen of the Road" tour. Portland is a great place to visit with beautiful scenery, decent weather (don't be fooled by its northern location - it can be hot, but mostly it was dry and lovely), and a plethora of foodie restaurants and boutique shops. Right up our alley. Our first restaurant visit was to Duckfat. The name says it all. Their fries are fried in duck fat and served with aioli and other spicy sauces. We shared a large order which was way more than both of us could handle, but so delicious. I also had a cup of a great carrot curry soup and C had a salad with shredded duck. Almost every restaurant we went to in Portland was very familiar with gluten-free requirements, so it was easy to make most meals gluten-free if not full paleo. Duckfat fries may not be paleo to some, but a little potato indulgence is fine with me. I wish I had taken pictures, but alas, the food disappeared before I remembered to take any pics on this trip. The 6000+ influx of people into the Portland area for the Mumford festival flooded the streets during the day and restaurants were a bit hard to get into. We tried to visit The Farmer's Table for brunch, but they were filled to the brim for the rest of the day. We opted for a trip to a small bar/restaurant for dinner that night. I feel bad because I don't even remember the name of it, but they made a killer salmon filet for me with asparagus and more potatoes (potatoes and Maine must go together). C had a shrimp risotto. The only complaint was the cloud of fruit flies that were attracted to our peach margaritas, but overall an enjoyable experience. On the night of the festival, the crowds flooded Portland afterwards, looking like zombie hoards looking for victims. C and I decided to go to a quieter location for dinner, having spent the day with the same 6000. We went to Fore Street, arriving at almost 11:00 to an almost full house, but seated right away. This place was amazing in a beautiful refurbished old building with rustic brick and wood. The hostess led us past an open kitchen where a staff was hard at work. We were seated next to a candlelit window overlooking the streets of Portland toward the waterfront. We could watch the zombie hoards following the limos, which they hoped contained the members of Mumford and the other bands from the day, who had promised to frequent various venues for the rest of the night. We had a waiter with a full 6 inch beard. C commented that all of these farm-to-table restaurants seemed to have a staff that came straight out of the Daniel Boone era - always with full beards. We shared an appetizer of the freshest raw fish I've ever had - salmon, tuna, scallops, and a white fish, each with its own topping. The scallops and white fish were ceviched. C then had a huge piece of pork belly. I had an even larger pork chop sitting on a bed of sauerkraut. We shared everything. We were happy we did not order vegetables because there was certainly no room. Again, this restaurant was gluten-free friendly and oh-so-paleo. On Sunday, we headed to Boston, a quick two-hour drive. Once again, we did not suffer from lack of choices. On Monday, we went to Nebo, winner of a Bobby Flay showdown. We had the most delicious gluten-free pizza (paleo was out the window at this point). This is possibly the most gluten-free friendly place I have ever been. They had a complete two page, small type, menu of gluten free pastas and pizzas. I had the Michael Diavolo pizza - bacon, pepperoni, mozzarella, tomato sauce. Beautifully prepared and delicious. C and her boyfriend had equally tasty variations. She opted for a potato gorgonzola version while he had a custom margherita style. The crusts were wonderful - as far as I am concerned they were as good if not better than most pizza crusts I have had, GF or not. If that wasn't enough, C and I went to brunch on Tuesday for our last meal in Boston for the week. We went to Zaftig's. It is a Jewish delicatessen style restaurant. I had scrambled eggs with beef salami which came with a side of home-fried potatoes and three slices of watermelon topped with strawberries. C had a version of eggs Benedict on GF potato pancakes with more watermelon and berries. We ate well this week and this place just topped it off with deliciousness. What a great finale to a fun week of eating. Oh yeah, we also visited Walden Pond, Boston Commons, saw two movies (Beasts of the Southern Wild and the latest Batman), Castle Island, and of course, shopped Newbury Street several times. Almost forgot chocolate hazelnut cake (all GF) from L.A. Burdick and iced chocolate. I think I need to go to the gym a lot this week. The Book Report: It’s Done! Why Wheat Belly . . . and what’s next?